Two elements have to be connected to one another and the required forces have to be continuously transferred. As for all moving applications, it is important that the parts are low-wearing and durable. In addition, when the product is installed, it should be possible to compensate for play by adjusting it with millimetre precision or by readjusting it as required in permanent operation. 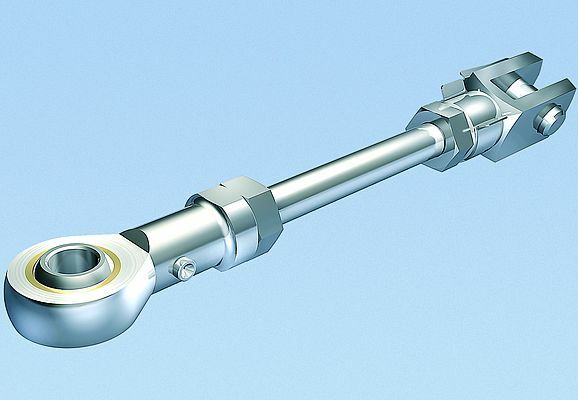 The absolutely precise configuration of the joint rod in combination with the specific parts to be connected therefore brings about considerable advantages. For example, installation times can be reduced enormously and process costs kept low throughout the entire organisation due to simplified article management. But how to exploit these potentials effectively without having to put in so much design work up front that all the savings have been cancelled out by the high information requirements? Usability, intuitive operation and the integration of 50 years of experience in the field of linking technology were our guiding lights during the development of the configurator in order to make your life a little easier.